I have written twice on this blog about play. Here and here. An article about play in Science News caught my eye this week. The original article in October’s The Scientist is quite interesting. Did you know rats laugh? There is evidence that birds play. Octopuses and turtles and wasps play also. I wonder why that surprises us? So, does every living thing play? Is play part and parcel of being an animal? Or is play so useful that it has evolved repeatedly? No one knows the answer to that, yet. And if play is useful, in what way is it useful? Researchers have some ideas, but no firm answers on that yet either. I don’t know about you, but I like the idea that all sorts of creatures play. In popular culture, at least, we tend to think of the lives of other animals- particularly non mammals- as grim struggles for survival. Life consists only of eating, reproducing, and avoiding being killed, all driven by instinct. A joyless sort of existence. An unrelenting survival of the fittest. What if all creation is fulled with survival yes, but also play? Surely the flourishing of creation includes play? There are some serious implications of that idea. We know experientially that play brings joy and laughter to us. That appears to be the case for puppies and kittens and Mountain Goats and squirrels as well. Is joy or happiness an essential result, a product of play? 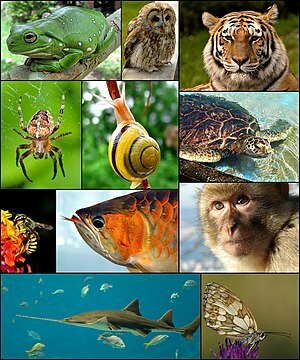 If that is so, then the emotional life of animals is much more complex that we have previously recognized. Can turtles be happy? Do wasps experience joy? These are things that are difficult for us to know. The lives of turtles and wasps are very different from our own. We have a hard enough time understanding human joy and happiness. Would the recognition that a rich emotional life exists for other animals change the way we treat them? The research into play and other areas of animal behavior should affect our relationships with animals. What do Christians have to bring to this discussion of animals and play? Traditionally, not too much. Concern for animals has always been present in the Christian tradition, but historically concern for animals has been a minor theological pursuit. How might this discussion about animal emotions and play shape our Christian perspective of the world? Might we be encouraged to take God’s love for all creatures more seriously? Might we embrace an understanding of salvation that is bigger than just what happens to us when we die? We might, for example, start taking Isaiah 11 seriously as God’s intention for the world? the leopard shall lie down with the kid. for the earth will be full of the knowledge of the Lord as the waters cover the sea. Animals at play. A fascinating idea, full of interesting implications for scientists and for theologians. Posted in Animals, Christianity, Science and Religion. Tagged animal behavior, animal play, christianity and animals, play, Science News, Scientist. Next: Next post: Are We More than our Brains?